Tru Blu Pools is a family owned and operated company, specializing in pool remodeling for over 28 years! We serve the entire Dallas/Ft. 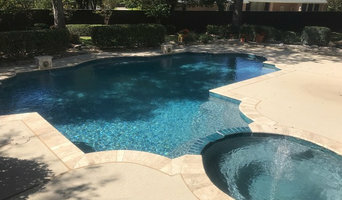 Worth metroplex on services such as tile & rock work, pool resurfacing, deck pouring and resurfacing, structural pool alterations and additions, pool heater and equipment installations, and more. We are a full service plumbing state plumbing contractor specializing in residential and light commercial. We recently have been receiving a high volume of calls regarding remodeling. Let us give you a free estimate. We are licensed, insured and bonded for the protection of you, your family and property. Check out our website and give us a call. Thank you for choosing us. True Plumbing is a full-service residential and commercial plumber in Fort Worth Texas and surrounding areas. Known for outstanding customer service, this Christian company offers professional, reliable and honest plumbing services including, bathroom plumbing, kitchen sink plumbing, bathroom drains, sewer and septic services, toilet repair, sump pump installation and sewer line repair and replacement. Water Heater Septic Tank, Disposal Repair, and More... If you need an emergency plumber to come and provide you with solutions and tools to help you with any of your maintenance needs or repairs. Plumbing problems are not uncommon, especially if you own a home or your own business. We offer a variety of different pipe and plumbing services from leaky pipes to clogged drains and we are fully equipped and trained to tackle all of your issues, while making sure to meet each and every one of your individual needs. Give us a call to have any questions answered or to schedule an appointment with one of our experienced staff members in only minutes of time. Whether you are looking for a regular inspection or you are experiencing a serious issue, Plumber Richardson is ready to answer your call for help. You can be sure that we will not leave until you are fully satisfied with all that we have to offer and will additionally provide you with extra helpful tips and advice to keep your pipes in the best shape. Every home has a means of removing its waste. For example, your kitchen sink has a garbage disposal that shreds leftover foods to make it possible for these to dispose. Also your sinks, both in the bathroom and kitchen area have pipes that should be clear and free from blockages in order to keep your home fresh. All these elements of your home need reliable drain services when damaged. That is why the work of drain clearing Mckinney TX is so important. Escobar & Sons Plumbing is a Full Service - Affordable - Reliable Dallas Plumbing Company run by Master Plumber Orlando Escobar & Sons. With 30+ years Plumbing experience we provide the Dallas, Texas area a wide range of plumbing, gas pressure tests, slab leak detection-repairs, and drain cleaning services with high workmanship, integrity and honesty. We are Texas Licensed & Insured serving Mesquite, Garland, Richardson and the entire Dallas Metro-Plex. Call us now for a FREE Estimate! Plano Tx is a lovely suburb that is situated beyond Dallas Tx. You will like the service that people offer to all or any our customers in the Plano area. When finding a plumber, you want to be sure they are a fully certified. We offer good deal guarantee for your needs be they in the toilet, kitchen or bathroom sinks and even in the bathtub and warm water heating unit. Having an all-round professional of drainage cleanup is a significant benefit for homeowners in the town. You can rely upon us since our company is a 24 hour procedure that answers the decision of duty regardless of what time of your day, evening, weekend or trip it is. 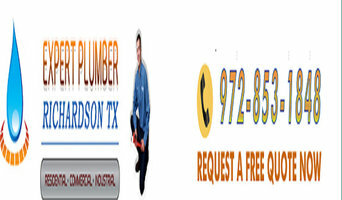 Drain cleaning Dallas TX is your first stop for plumber-related services. One common service need we get often from customers, and the one that you might find often, is cleaning clogged drain tube so the toilet can clear its contents, your kitchen kitchen sink can drain filthy drinking water through the garbage removal, and the bathtub drainage can clear and vacant dirty water after having a showering experience. Don't worry if yours is clogged, just call our local plumbers to do the unclogging. With over 20 years in the plumbing industry, we strive to provide professional and quality plumbing services to all our customers in the Dallas area. The owner and expert team at Regal Pools is dedicated to using their more than three decades of professional experience to give you the pool and outdoor living area you’ve always dreamed of. The company is one of the oldest and most well respected in the area and the technicians proudly serve customers throughout Denton, Dallas, and Collins Counties, including Plano, Frisco, and Irving. The team handles a wide range of services, from leak detection and crack repairs to full remodels and installations. They can even set up a weekly maintenance program to ensure you can fully enjoy your pool when you want to. Call today to schedule your service or to learn more about how Regal Pools can help you. Small Family Run Pool Cleaning and Repair Service. Genzel Plumbing Company is a plumber clients trust to provide expert plumbing services at the best value — over delivering in service, price, and attitude! Genzel Plumbing Company is a family-owned and operated plumbing business servicing McKinney, TX and all surrounding cities in the Dallas Fort Worth metroplex. Since our founding in 1999, our clients have trusted us to be their go-to plumber in Dallas TX for quality plumbing services. Many of our clients say we’re plumbers with great integrity, workmanship and customer service and we’re both proud and humbled to consistently receive this feedback! Our team is quick to respond, is made up of expert plumbing craftsmen, and always offers the best value for your plumbing services. You can rest assured we’ll over deliver if you need help with emergency plumbing, clogged drains, repiping, water heater installation, leak detection, repairing sewer lines or any other of our many services. We’re the Dallas plumbers you can rely on! Give our team a call at (972) 238-5585 or contact us online to schedule an appointment today. Plumber Richardson TX has a team of plumbing experts in your area that are eager, willing and ready to assist their neighbors at all times, day and night. We are a service provider that work and live near our customers and are available 24 hours a day, which is great if you are faced with Sewer Repair or any other plumbing repair at an odd hour of the night.